Medical Franchsing | How is OrthoNOW Different? Medical Franchsing | How is OrthoNOW Different? How is OrthoNOW® Different from Other Medical Franchise Opportunities? Medical franchise opportunities have the potential to generate a high profit. However, it pays to invest in a franchise that is set apart from other franchises — something that offers a significant value to the community that the other medical franchise opportunities do not. OrthoNOW is different than any of the other medical franchise opportunities because it is the first and only franchise of its kind. Instead of specializing in internal medicine and general urgent care like many medical franchises do, OrthoNOW focuses on orthopedic urgent care, targeting people who have suffered from an accident or sports injury. We also offer ongoing services, such as spine care and physical therapy, among others. Unlike many medical franchise opportunities that are saturated with competition, OrthoNOW is the only orthopedic urgent care franchise. While general urgent care clinics have to compete amongst themselves, OrthoNOW stands out as the leader in orthopedic urgent care. Our franchise has great opportunity for expansion and our franchisees can open OrthoNOW Centers in multiple locations. Our corporate team has a list of available territories based on in-depth research of the area and population demographics. In addition to our excellence among other medical franchise opportunities, OrthoNOW stands out among the rest in the way we help our new franchise owners. Owning an OrthoNOW franchise requires a person of dedication, integrity, motivation, aggressive thinking and strong entrepreneurial spirit. We understand that your investment in this medical franchise is important, just as our brand and business is important to us. Therefore, we have many conversations with each potential franchise owner to be sure this is the best option for both parties involved. Our goal is to ensure the integrity of our brand and want to engage with physician entrepreneurs and healthcare innovators. 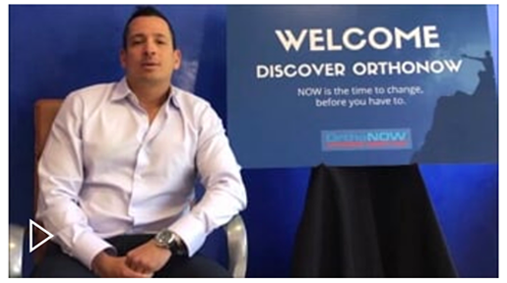 Once you have been chosen as an OrthoNOW franchise owner, our team will provide you with the training, marketing research, and contacts to other OrthoNOW owners that you need to be successful. To learn more about what sets OrthoNOW apart from other medical franchise opportunities, contact us today and speak with one of our Franchise Discovery Representatives.